Many homeowners in Long Beach, CA usually think tap water is safe to wash in, to cook with, and to drink directly from the faucet. However, this isn’t always the case. The water that flows out of your tap can be hard and contaminated. However, you can connect a home water softening system to clean up your tap water to remain healthy. 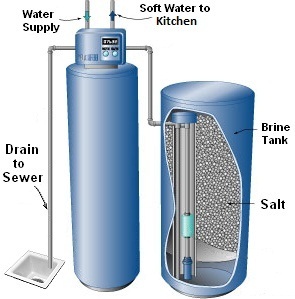 A Water Softener Service can help you install the system. Take a look at how water softening system can make your family healthier. If you notice the water you use is constantly leaving a white flaky residue if your clothes become stiff after you wash them, and if you’ve been breaking out more often than usual, you are most likely using hard water. That flaky residue indicates too much magnesium and calcium in the water and it gets into your pores too apart from your clothes. A water softener uses a combination of salt and special beads that can help pull all the pesky minerals out of your water, making soap more effective, allowing your clothes to get clean, and also significantly improving the hair and skin health. If your water runs orange, yellow, or a deep and murky red, it is a sign of an unpleasant concentration of iron in your tap water. Iron is one of the most common and undesirable contaminants which are a result of either iron seeping down from iron-rich soil or old rusting iron pipes. The iron-filled tap water can lead to icky red staining in your toilet and sinks and turn anything you cook dark and bitter. When you install a water filtration system, the iron can easily be filtered. You can drink and use clear, delicious water. Water that is rich in chlorine can give off nasty fumes, burn your eyes, cause health problems, and can also pose a cancer risk in the long-term. You can filter the chlorine out with the help of a water filter system easily. At Mitch Clemmons Plumbing, we have a team of experienced plumbers who can help install, maintain or repair any kind of water filtration system. We care for the wellbeing of our community and work toward providing your family a healthy lifestyle. We serve families in Long Beach, CA and many families recommend us as the best Water Softener Service. Make a call at (562) 247-4994 today for Long Beach Water Softeners Service. When it comes to plumbing, minor leaks aren’t often a major concern for homeowners. After all, it’s just a little water, right? Actually, an average household in the U.S. can save almost 10,000 gallons of water annually if they have simple leaks fixed. So it’s important to get leaks fixed right away, even the small ones. But how do you know if you have a plumbing leak? Well, let’s take a look at a few common signs of plumbing leaks. Noticeable wet spots: One of the most obvious signs that you’re experiencing some leaks in your plumbing is wet spots. Whether it’s a puddle of water around the toilet or a sink or wet spots on floors, ceilings or walls, having an area of water is never a good sign. But fortunately, wet spots make it easy to spot where the leak is coming from. So if you notice wet spots, make sure to schedule a plumbing repair service to fix the leak and avoid water damage to your home. Higher water bills: Another sign that you may be experiencing a plumbing leak is an increase in your water bills. While there are plenty of other reasons a water bill could increase, if you haven’t been using more water than normal, you may have a leak. Even a slight drip from a leaking sink can cause your water bill to skyrocket. So if you find that your water bill is steadily increasing, talk to your local plumber about possible leaks. This way, you can ensure you’re saving money and water by getting any leaks taken care of promptly. Decreased water pressure: If you turn on the bathroom sink or shower and notice that the water pressure seems lower than usual, this could warrant plumbing repair services. When a plumbing system has a loose connection, damaged pipes, or leaks, there’s bound to be a decrease in water pressure. And while water pressure could be affected by something else, like other water being used at the same time, significantly decreased water pressure could be a serious problem. So if you’re noticing a steady decrease in water pressure, call a plumber sooner rather than later. Hopefully, this article has given you some useful knowledge regarding spotting plumbing leaks. If you notice any of these warning signs, make sure you invest in plumbing repair services so you can ensure you’re being smart about your water use. How often do you remember to clean the drains in your home? Proper drain cleaning is essential to remove clogs and keep the drains running correctly. Also, it can prevent future problems with the drains in your home. Do You Need a Professional Drain Cleaning Service for the Work? Though many homeowners attempt to clean their drains by learning DIY tips, for best results and to keep the drain running well, a professional service is necessary. What Drain Cleaning Service Provider Does? A professional drain cleaning team will come equipped with all the tools necessary to clean your drain. You don’t have to worry about end results. They can apply their sewer jetting process which not only removes clogs but cleans the pipe itself. It will restore your pipe’s effectiveness and leave you with almost geed as new pipes. For thoroughly cleaning the pipe, a hot jet of highly pressurized water is forced into the pipe. The professionals are skilled in this task. It will break up tough debris such as tree roots and strip away built-up kitchen grease that usually clogs the pipe. Allow only water and human waste to go into your pipes: Wet wipes, food, feminine products, kitchen grease, or other items can clog your kitchen or bathroom drains. 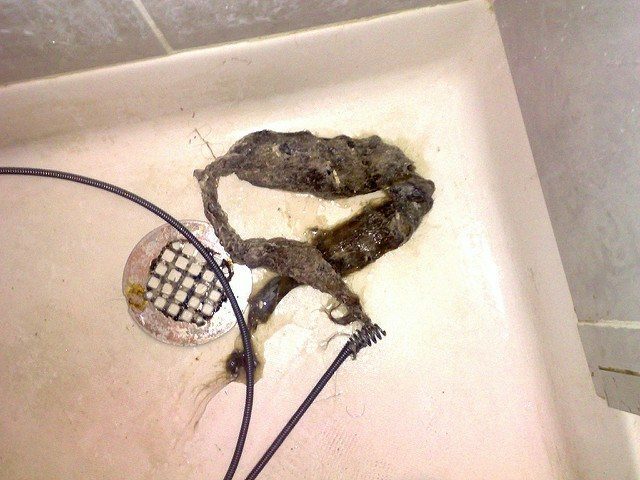 Get hair and food traps: Hair, when accumulated, can cause your drain to clog. Use a hair trap for your shower or bathtub. You can also get a food trap for your kitchen sink to avoid future clogs. Don’t invest in commercial drain cleaners: Liquid drain cleaners are highly toxic. It also poses threat to children and pets. These harmful chemicals can seep into groundwater, poisoning your drinking water as well as harming waterways and wildlife. Also, they aren’t suitable for all types of clogs. Mitch Clemmons Plumbing is a reliable company that provides the best drain cleaning service in Long Beach. We have years of experience backed by a proven track record of successfully fixing drain issues in Long Beach and nearby areas. Our end goal is to satisfy our customers and our ever-evolving team works day in and out to achieve the same. Talk with one of our friendly representatives now for best Drain Cleaning Long Beach. Everyone knows that dreaded feeling when you’re in the shower or washing dishes in the kitchen sink and the water stops draining. Clogged drains are one of the most common, and most annoying, plumbing problems homeowners face. So what do you do when you need some drain cleaning done? While you may be tempted to dump a bunch of de-clogging chemicals down the drain, let’s take a look at a few reasons to invest in professional drain cleaning services. Protect the plumbing system: When it comes to a clogged shower drain, kitchen sink, or bathroom sink, homeowners often resort to unsafe methods, like using a wire hanger or harsh chemicals, to fix the clog. While these methods may be effective, they’re overall damaging to the plumbing system. Fortunately, professional drain cleaning services get the job done without causing harm to the system. The tools and products used are completely safe and effective. So the clog can get taken care of while ensuring your system is protected too. Provides a real solution: If you try to fix a clog yourself, you may end up doing more harm than good. Or you may take care of only part of the problem, still leaving yourself dealing with a frustrating clog. Furthermore, there are some problems that can’t be fixed without professional services. So taking the time to hire a local plumber in the first place will not only help fix the problem at hand but can clean the drain system properly in order to prevent future clogs as well. Professional drain cleaning can offer a real solution to clogged drains. Potential issues are noticed: Sometimes, a clogged drain is more than a clogged drain. But without a professional plumbing service, further issues may go unnoticed. This can lead to even more issues down the road and if they’re not taken care of, your entire system could become compromised. But a professional plumber can not only take care of your clogged drain, but they can inspect the system to look for other issues. If there are further problems, they can be taken care of right then and there. Fortunately for homeowners, there are about 117,776 plumbing businesses in the United States. So next time you have a clogged drain or another plumbing issue, make sure you leave it to the professionals to get the job done right. It is not easy to spot a slab leak as they are not easily accessed nor can they be fixed manually. Here are some common signs to identify if your slab is leaking. It is also advisable to take the help of Slab Leak Detection Long Beach professional to do the job for you. Increased water and/or energy bills: Your water or energy bills will be substantially higher than usual. It will happen even though you haven’t been using any more water or electricity than you normally do. Odd sound of running water: If hear the sound of running water even after you turn off all the fixtures, it probably might be the sound of your slab leaking. Water pressure is low: In the case of a slab leak, the water will not flow strongly as it usually does. One strong and common reason for water pressure drop is a slab leak which a Slab Leak Detection Long Beach professional can easily handle. The water heater has burnt out: A slab leak makes the water heater work extra hard much like a pump of a well. It can shorten its lifespan and you will have to replace your water heater. 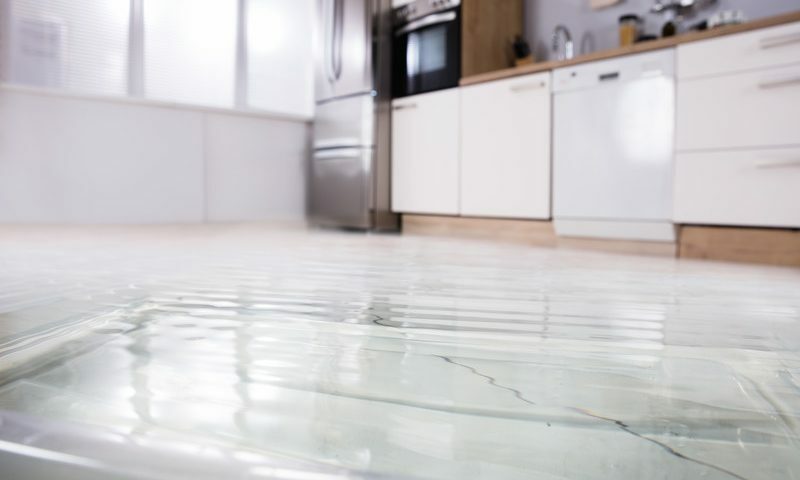 You notice puddles: When there is a slab leak, you will notice water puddles on your kitchen floor, bathroom or even the laundry room. You might also notice puddles or wet spots on the slab itself in cases where the broken pipe runs through underground or the garage. It is not only the indoors. If you notice puddles in the yard that haven’t come from the garden hose, you need a professional plumber to inspect the case. Floors are damaged and cracked: Damaged and cracked floors are major signs of slab leak which you should not let go unnoticed. You need to repair the leak quickly and also call in a general contractor to repair the floor to prevent further damage to your property. Hot Spots: When there is a leak in your hot water line, the concrete of the slab will heat up. It will make the slab warm and also warm the floors right above it. If you reside in Long Beach, CA or anywhere nearby, you can leave all your plumbing issues including slab leak issue in the experienced hands of Mitch Clemmons Plumbing. We have all the tools and expertise necessary to solve your plumbing issues. 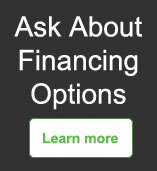 Give us a call today :- (562) 247-4994! Drain Cleaning may not be the best job to conduct but it is vital for health safety and comfort. The point of having drains at home is to flush wastewater out. It makes the area a key location for mold and bacteria buildup. In your kitchen, illness-causing germs in food, food particles, and other yucky stuff frequently get flushed down the pipes. In bathrooms, you wash your hands, brush your teeth, and bathe your body, letting the residual water wash away. If you don’t clean the areas regularly, these areas can get pretty mucky. Mold growth, buildup from oils, and germs thrive in moist environments. They can cause smells, appear unsightly, and cause a real health threat over time. You can ensure your drains stay fresh and clear of debris over time by adding drain cleaning Long Beach to your regular cleaning schedule. 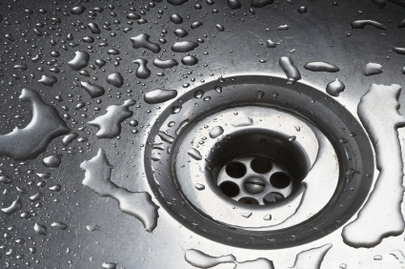 Flush drains once a week with boiling water to keep most mold and germ growth under control. Cleaning for basic maintenance: Fill up a sink or tub with hot tap water or boiling water from a pot. Open the drain line to allow the water to fully work through the line instead of trickling down the path of least resistance. You can also use either baking soda or vinegar for added freshness. Clearing mold: In case you notice mold in your shower or bathroom pipe, scrub out the visible area using a drain brush and baking soda. Flush thoroughly with vinegar and then with hot water again. 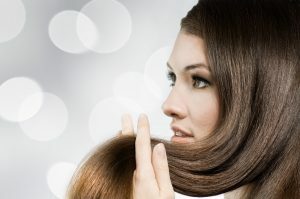 Clearing hair: Often hair buildup in drains will need the assistance of a professional plumber, especially if there is a significant buildup. Consider buying a drain strainer to prevent hair from clogging your drains. You can get it from your local home improvement or a big box store. 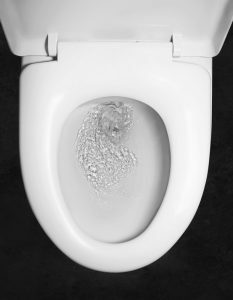 Clearing blockages: In case hot water doesn’t seem to do the trick for clearing out minor blockages or getting rid of mold and bad odors, call a plumber. You could have a problem deeper in the line that needs to be examined. Don’t use chemical-filled products as they can sit above the blockage and rust your pipes, worsening the problem. Clearing food disposals: Food disposals can cause bad odors. To eliminate food disposals and odor, pour baking soda into the drain followed by some vinegar. Allow the solution to sit for some time before running very hot water down the drain. By cleaning your drain regularly, you can successfully prevent the most common drain blockage and odor problems. Many experts recommend cleaning solutions, like baking soda and vinegar, for a 100% natural and environmentally-friendly solution. If you notice a lingering smell or a blockage that home remedies can’t fix, the professionals at Mitch Clemmons Plumbing can help you diagnose and fix drain issues and pipe blockages. We can also help fix leakages in pipes and install new drainage pipes. Get an appointment with one of our certified and reliable plumbers today. Call us at 562-362-3218! If you want a steady flow of hot water going to all the plumbing fixtures in your household year-round, water heater installation should be a top priority. Here are things you should consider before water heater installation in Long Beach. There is a selection of water heaters, including conventional water heaters, tankless water heaters, and solar water heaters. 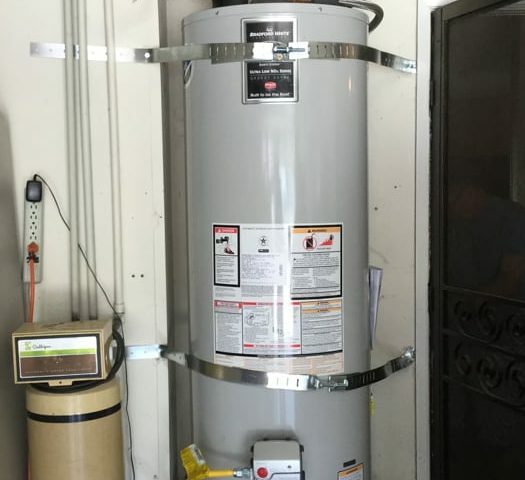 You can let a professional from water heater installation Long beach decide which one is best suited for your home. Gas and electricity are the two main fuel types for water heaters. The fuel type you consider to use requires aligning with your requirements at the moment, especially for water heater installation. A gas water heater may be the right choice if you want to save cost on energy. But, if you wish to opt for a water heater for longer-lasting power, an electric water heater may be better. It all depends on your choice. Speaking of personal choices, your hot water demands are also a vital point of consideration. In case your home has a lot of kitchen and bathroom fixtures, you have to install the right water heater that can cover all of them. On the other hand, a water heater installation that will offer you with more than what you require simply isn’t an efficient way to go. You will also have to think about how a water heater will be able to save you money on energy bills. In case your conventional water heater is mounting your bill on the energy front, then you have to consider switching to a tankless water heater. It features a 96% efficiency rate. Otherwise, a solar water heater is also an acceptable alternative since it won’t burn fuel as much. The average cost of installing a conventional water heater in 2016 was around $889.00. Whilst that may be more cost-effective as compared to other types, don’t let it become the sole driving factor in your decision. A cost-efficient water heater is not always the best option, particularly when you are opening yourself up to the chance of poor water heating performance and lower levels of efficiency. Winter will be here in Long Beach, CA before you know it. Don’t get caught in the cold. Schedule a Water Heater Installation Long Beach, CA Today. You don’t have to stick to a particular water heater if it does not meet your requirements. Allow a professional to decide the best for you today. You will notice slab leak under the foundation where the water pipes carry water to and from the home. The shift in the soil can cause the pipes to move. In case your pipes have cracks or holes in them, it can result in costly issues. At times soil shifting is caused by a water leak. It causes further damage to the pipes. Why should you fix your slab immediately? A water leak can lead to erosion in the ground under your home. This occurs especially if it seeps into the water table. It will lead to a chain reaction that can deteriorate your concrete slab which is the foundation of the structure. Your floors are going to be ruined first. They will settle and slant on all levels of your home. When your slab foundation breaks or cracks, it can cause problems with doors, walls, windows and even the roof. It will be difficult to open and close your windows and doors. It will have an effect on the upper floors and possibly the pitch of the roof. If you allow the leak to spread, you can lose your home. In the long run, it will eat away at your foundation. A warm, moist environment is the best environment for mildew and mold to thrive. As long as it has moisture, a black or brown slime can begin on your lowest floor and work its way up the walls. A flooded basement allows mold a good place to start. 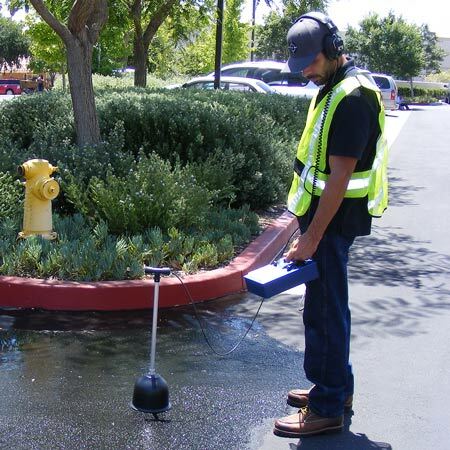 Leak Detection: How do you know whether your slab is leaking? Leak detection in the slab is a bit tricky as you may not notice the change in your foundation immediately. You will find your water bill may be mounting even when your usage has not increased. Your first indications of a slab leak may be a crack or break in the cement floor of the garage. Many homeowners may not notice the leak until they spot molds in baseboards. Another indication of a possible water main or sewer line leak is mildew in the basement or under sinks. It is best to take the help of a professional to fix a slab leak. If you reside in Long Beach, CA, you can hire a professional from Mitch Clemmons Plumbing. Why hire us? We have the latest leak detection equipment to help you quickly find and repair your leaking pipes. Many leaks can be located and repaired in the same day. You may not necessarily tear up the foundation looking for the leaking pipe. Hire our professional today for slab maintenance lest you end up losing your property gradually but eventually.